Outrage is a film that was shot in Rabun County, which is the same location that Deliverance was shot in, and the film really has a positive message about dealing with the past and pain. The main theme of the film is that people must let go of there own fear and anger in order to bring passion in to their lifes. Outrage not only has an interesting theme and premise, the film has several stars in the film including Micheal Madsen (Reservoir Dogs), Natasha Lyonne (Blade: Trinity), and Michael Berryman (The Devil's Rejects). Even director Ace Cruz has a part in Outrage as Trey and here director Ace Cruz talks a little bit more about this film and how the law of attraction can create positivity in anyones' life. (Michael Allen) Hello Ace, how are you doing? Are you talking to me from California? (Ace Cruz) Yes, I am on the westcoast in Los Angeles. I am doing great. Where are you at? (MA) I am in Canada on the westcoast, so I think we are on the same time zone. It is great to meet you. Let us talk a little bit about your newsest film Outrage. Can you tell me about the science fiction element in Outrage? (AC) Outrage is about the law of attraction and how negativity is pursuing Christine, played by Katie Fountain. 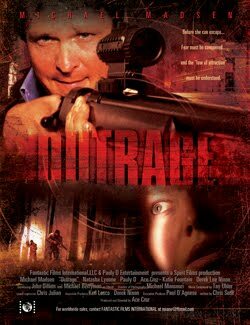 Michael Madsen who plays Farragute is also pursuing her and the film has some supernatural elements. The film is similar to Ghost with Demi Moore, in that a character is in the physical realm, but is ghost-like. (MA) Is the film set in the future? (AC) No, this film represents present-day, but there are ghost-like qualities that one of the characters has that makes it a science fictionesque film. Also, there is the theme involving the law of attraction, which either attracts positive or negative energy. So there are spirits in the film that are encouraging Christine to move on from the pain of molestation, that was caused by Michael Madsen's character Farragute. He comes back into Christine's life when she is an adult and after Christine has dealt with some of the sexual abuse comitted by Farragute. Through some flashbacks Christine has begun to realize what has happened to her as a 10 year old girl and this man's role in relation to her own negativity. Her life is out of control until she begins to recognize her past for what it is and this moves the film along to an eventual confrontation between these two characters. (MA) So Michael Madsen sounds like a real villain in Outrage. Is he the central antagonist in the film? (AC) Yes, and Katie Fountain's character is the hero in the film. She is trying to understand the negativity and pain in her life. (MA) Michael Madsen is a big name in film right now. Why did you pick him to play Farragute? (AC) Michael Madsen has been in Kill Bill, Reservoir Dogs and Thelma and Louise. And really he is a prolific actor with and edge that suits the antagonist in the film. He and Michael Berryman, as Obech are central in this film. (MA) And Katie Fountain plays the hero. How does she deal with the trauma from her past? (AC) Michael Berryman plays a healer who sets her on a journey to remember her past and to let go of the anger, hate, and negativity. Christine learns to forgive her attacker and to live her life free of the abuse. The film ends with Christine really having a new beginning even before confronting Michael Madsen's character. She decides that she does not need to fire a gun at Farragute and kill him. Instead, she chooses mercy and forgiveness while moving on with her life. The film is really about healing our lives so that we can allow more positivity in. (MA) It sounds like Christine has repressed some of the sexual abuse. Is this true? (AC) Yes, because she starts to have flashbacks and she notices all the negative emotions that she is experiencing. So, with help from Michael Berryman's character she begins to piece together her past. (MA) This sounds like some dark subject matter that you are dealing with. Is there some light in the film? (AC) Definitely, as Christine begins to let go of the past she experiences a fuller life. She owns her own sexuality and stops being the victim. The confrontation with the villain is part of her moving on with a new chapter in her life. Obech, played by Michael Berryman, is really the healer in the film for Christine and a bridge to positivity. (MA) And there is some unravelling of the story in the end? (AC) The villain gets electrocuted by mother nature. Even though Christine did not kill him karma intervenes and ends his life, while Christine gets to begin a new life free of the trauma. (MA) That sounds great. So the film comes out April 4, 2010? (AC) Yes, Phase 4 Fillms will release the film in North America to theatres and Outrage will have a limited theatrical release beginning in the New Year. 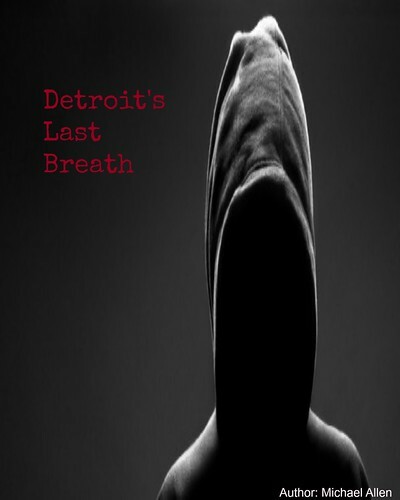 Dates will be announced later as the film moves towards a release. So, for any fans who want to know about the film they need to come over to the website for a visit. Then, check out the film when it releases April 4th. (MA) Well thanks Ace, I think that is a great introduction for your film Outrage and I know fans will be looking out for this one in the coming months. (AC) And thank-you I know we will keep in touch. Take care.